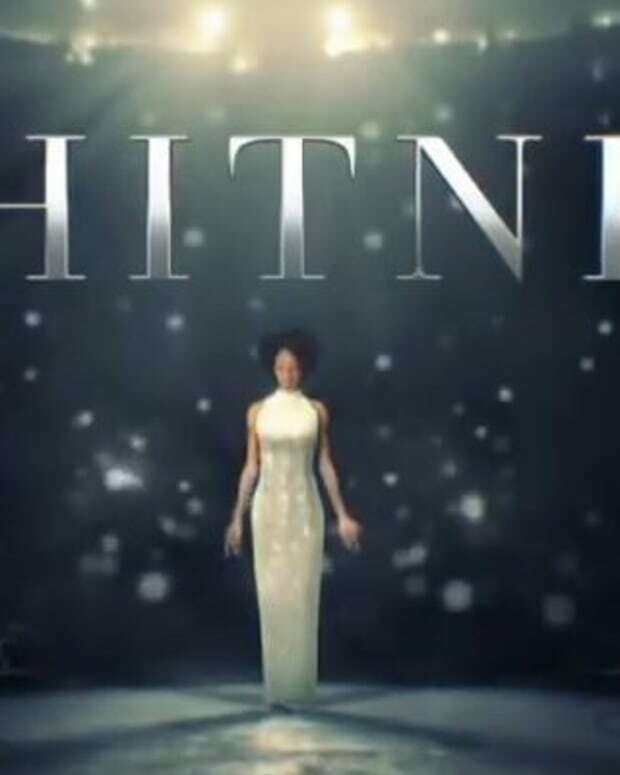 Former All My Children star Yaya DaCosta (ex-Cassandra) starred as the late Whitney Houston in Saturday night&apos;s Lifetime movie about the legendary pop icon&apos;s life. Reviews for DaCosta&apos;s portrayal have been mixed, and Houston&apos;s family is not happy about the Angela Bassett-helmed biopic. Whitney&apos;s sister-in-law and president of her estate, Pat Houstonreleased a statement slamming the TV movie and its inexperienced team. My daughter came home from high school yesterday and shared with me inquiries she had endured from her peers and teachers about the upcoming TV movie about her aunt Whitney. She was somewhat exasperated and said she did not get it – that a woman who claimed to be her aunt&apos;s friend would direct a movie that seems so unloving towards her Aunt, and how it could affect her cousin Krissi. I share with you the thoughts I shared with my daughter yesterday – that there is often a fine line that separates elevation and degradation in the industry. What lifts up one person in the headlines may in fact destroy another. I don&apos;t think it ever entered their minds that they were assaulting the legacy of another individual; they just want the job or the opportunity to shine. But to do so in such an incredible way, to go after someone who cannot correct what you get wrong, someone who – like so many people, and especially women – struggled to hold up their humanity and live with dignity despite their personal challenges, is wrong. I say this to all Whitney&apos;s family, friends and fan base: If you watch this movie, watch it knowing that Lifetime is notorious for making bad biopics of deceased celebrities and brace yourself for the worst. You should not be surprised that someone decided to do a made for TV biopic. And, I might add, without the family&apos;s blessing and despite her mother&apos;s request to not do this movie. It happens every day. But misrepresenting the term friendship to advance an agenda is not only disrespectful and dishonest but a slap in the face to her true and loyal friends. You should expect people will always rise to the occasion for prominence and profit – not love, respect or honor. I question the morality of the making of this because of the lack of experience knowing Whitney&apos;s life. Never would Whitney allow her story to be told by an inexperienced team and how naive of anyone to think otherwise, unless you&apos;re caught up in illusions of grandeur that you can just do anything and people will accept it. This made for TV movie is certainly not a trailer to Whitney&apos;s life story. God gave us a gift in Whitney and she gave us her best, despite what stories are told. We will wear a breastplate of armor for Whitney and that&apos;s what friends are for. In the spirit of Whitney&apos;s "I Go To The Rock”: “On Christ the solid rock I stand.. all other ground is sinking sand." Let&apos;s just be peaceful in all of this. Truth is violated by silence just as much as by a lie. But one of the things that makes Whitney feel different is the strength and natural chemistry of its leads, DaCosta and Escapeta (everyone else, perhaps like in reality, is a background character). He is brooding, intense and exudes insecurity through a facade of confidence. She is beautiful, vivacious, giggling, and nearly sparkling in the movie&apos;s first half. Together, there is a palpable allure. 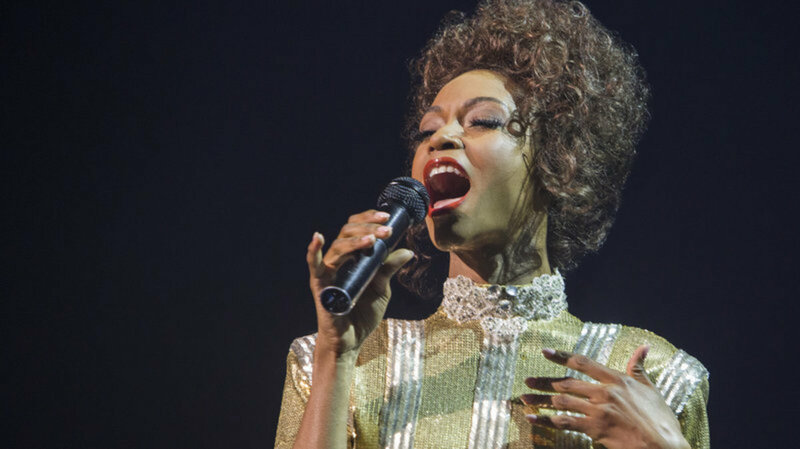 Stiff in direction and acting and without any of Houston’s singing, the biopic features former America’s Next Top Model runner-up Yaya DaCosta in the title role. Whitney is not that. It isn&apos;t campy and it isn&apos;t terrible, and star Yaya DaCosta – who many of us first saw as the runner-up on the third season of America&apos;s Next Top Model years ago – plays Houston earnestly and credibly, based on the segment of Houston&apos;s life, from roughly 1989 to 1994, that the film chooses to focus on. Little fault is due to star Yaya DaCosta, who, in spite of her reality show pedigree (she was an early also-ran on "America&apos;s Next Top Model"), ably embodies Houston&apos;s grace, confidence and teasing good humor — but she isn&apos;t given much to work with. 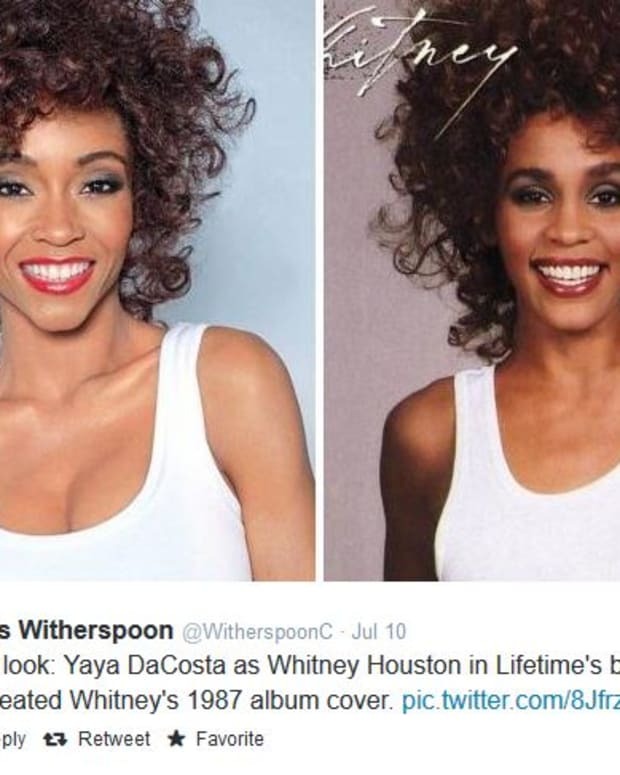 What did you guys think of Lifetime&apos;s Whitney Houston biopic? Sound off in the comments.